Flipkart Plus is a loyalty program that aims to reward customers for the purchases they make on the online market. 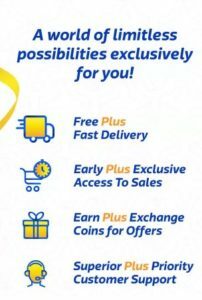 How to become Flipkart Plus member? It’s free. You get coins based on the purchase from Flipkart. For every 250 INR purchase you get 1 coin. For a single order, you can get maximum of 10 coins. Once you accumulate 50 coins, you become flipkart plus member. Advantage of Flipkart Plus membership? How to book Free Flight using Flipkart Plus Offer ? Once you accumulate 50 coins then click on buy this voucher. You will see a "alphanumeric code". Now go to jetairways sight. Look for V class and then put the code. We stumbled over here by a different website and thought I may as well check things out. I like what I see so i am just following you. Look forward to exploring your web page repeatedly.